The artist's role in society is to observe real life and report on it poetically. If the movement of his materials is sure and honest, the work becomes a beautiful gesture. Color spit bite aquatint with aquatint and soft ground etching on gampi paper chine collé. Image size: 22 x 25"; paper size: 28½ x 31". Edition 30. Published by Crown Point Press and printed by Sam Carr-Prindle. Image size: 12 x 9"; paper size: 18½ x 15". Edition 25. Image size: 14 x 9"; paper size: 20½ x 15". Edition 25. Image size: 11 x 11"; paper size: 17½ x 17". Edition 25. Image size: 8¼ x 5½"; paper size: 13½ x 10½". Edition 20. Drypoint with plate tarnish printed in sepia and black. Image size: 47½ x 10"; paper size: 54¼ x 16¼". Edition 20. Soft ground etching printed in black and yellow. Image size: 18½ x 15"; paper size: 26¾ x 23½". Edition 20. Color drypoint with flat bite etching. Image size: 30¾ x 32"; paper size: 40 x 40". Edition 20. Color drypoint with aquatint and flat bite etching. Image size: 23½ x 20¾"; paper size: 34½ x 30¾". Edition 20. Color drypoint printed on gampi paper chine collé. Image size: 6 x 9½"; paper size: 14½ x 16½". Edition 25. Color drypoint with flat bite etching printed on two sheets of paper. Image size: 35¼ x (overall) 80½"; paper size: 35¼ x (overall) 85½". Edition 15. Image size: 13 x 12½"; paper size: 22 x 20½". Edition 20. Image size: 30 x 24"; paper size: 31 x 25". Edition 20. Drypoint with aquatint printed in yellow and black. Image size: 8 x 5¼"; paper size: 17 x 11½". Edition 15. Soft ground etching with aquatint printed in yellow and black. Image size: 22 x 13¾"; paper size: 30 x 20". Edition 15. Image size: 2 x 1"; paper size: 8 x 5". Edition 15. Image size: 16 x 10"; paper size: 27 x 18". Edition 15. Direct gravure printed in blue. Image size: 17¼ x 11"; paper size: 26¼ x 19". Edition 15. Direct gravure with aquatint printed in black and yellow. Image size: 13½ x 13"; paper size: 14¼ x 13½". Edition 15. Direct gravure with water bite aquatint printed in black and blue. Image size: 21 x 13"; paper size: 32 x 23". Edition 15. Image size: 33¼ x 59¾"; paper size: 33¼ x 59¾". Edition 15. Woodcut printed in dark blue on hosho paper mounted on rag paper. Image size: 40¼ x 26½"; paper size: 41 x 27½". Edition 10. Image size: 15¾ x 10"; paper size: 20 x 16". Edition 50. Color soft ground etching with aquatint and embossing. Image size: 12¾ x 8¼"; paper size: 12¾ x 8¼". Edition 20. Set of four color soft ground etchings with aquatint and embossing. Hard ground etching with plate tarnish printed in umber and black. Image size: 71¾ x 15"; paper size: 77¼ x 19". Edition 10. Color direct gravure with aquatint and spit bite aquatint. Image size: 26½ x 16¼"; paper size: 39 x 24¾". Edition 15. Color direct gravure with aquatint. Image size: 18 x 23"; paper size: 28¼ x 32½". Edition 25. Image size: 17¼ x 26¾"; paper size: 28¼ x 37". Edition 25. Photogravure printed with color aquatint. Image size: 6 x 8½"; paper size: 20 x 16". Edition 45. Photogravure printed in ochre with color aquatint, and fingerprints hand-applied by the artist. Image size: 10½ x 6¾"; paper size: 20 x 16". Edition 45. Set of five direct gravures, with soap ground aquatint and hard ground etching. Image size: varies; paper size: varies. Edition 65. Image size: 10 x 10"; paper size: 16¼ x 14¼". Edition 65. Image size: 11½ x 10¾"; paper size: 11¾ x 11½". Edition 65. Image size: 11¼ x 17½"; paper size: 17½ x 21½". Edition 65. Direct gravure with soap ground aquatint printed in black and grey. Image size: 11½ x 17½"; paper size: 17¾ x 21½". Edition 65. Color direct gravure with aquatint and hard ground etching. Image size: 15¾ x 19¾"; paper size: 22¼ x 33". Edition 65. One in a series of three color monotypes. Image size: 44¼ x 36"; paper size: 49¼ x 40". Published by Crown Point Press and printed by Lawrence Hamlin. Image size: 44½ x 36"; paper size: 49¼ x 40". One in a series of 38 color monotypes. Image size: 21 x 16"; paper size: 30 x 21¼". Image size: 21 x 13; paper size: 30 x 21¼". Image size: 21 x 13"; paper size: 30 x 21¼". Image size: 42½ x 30"; paper size: 42½ x 30". Image size: 21 x 13"; paper size: 25 x 21¾". Image size: 42½ x 30"; paper size: 42½ x 30"`. One in a series of six color monotypes. Image size: 10¾ x 7¼"; paper size: 10¾ x 7¼". Image size: 10¾ x 7¼"; paper size: 19½ x 15¼". Image size: 22 x 20¼"; paper size: 22 x 20¼". Photogravure with engraving and mezzotint printed in blue or black. Image size: 17¾ x 27¾"; paper size: 34 x 34". Edition 10. Color soft ground and hard ground etching with spit bite aquatint and a drawing chine collé. Image size: 27 x 17"; paper size: 40¾ x 27¼". Edition 10. Color soft ground etching with sugar lift aquatint, drypoint, fingerprint and beer label chine collé. Image size: 24 x 16¾"; paper size: 34 x 23½". Edition 10. Hard ground etching with wood veneer chine collé. Image size: 10½ x 4½"; paper size: 22¼ x 14¼". Edition 10. Color woodcut printed in red ink on silk mounted on rag paper. Image size: 13 x 20¼"; paper size: 22½ x 20¼". Edition 15. Published by Crown Point Press and printed by Cai Yan. Woodcut printed in red on silk mounted on rag paper. Image size: 12½ x 14½"; paper size: 22½ x 23½". Edition 30. Published by Crown Point Press and printed by Xu Yinshe. Image size: 38 x 28"; paper size: 40 x 30". Edition 15. Woodcut printed on silk mounted on rag paper. Image size: 21 x 9½"; paper size: 27¼ x 20½". Edition 30. Published by Crown Point Press and printed by Rong Bao Zhai. Image size: 24 x 36"; paper size: 30¾ x 44". Edition 20. Hard ground etching printed on three sheets of paper. Image size: 75½ x 30"; paper size: overall 75½ x 30". Edition 5. Image size: 19¼ x 20¼"; paper size: 19¼ x 20¼". Edition 15. Color aquatint printed on two sheets of paper. Image size: 24 x 36"; paper size: 30 x 44". Edition 25. Image size: 36 x 36"; paper size: 52 x 45". Edition 15. Soft ground etching with engraving, embossing and gold leaf stamping mounted on a bottle of Anchor Steam beer. Image size: 5½ x 8¼"; paper size: 5½ x 10". Edition 100. Image size: varies x"; paper size: varies x". Edition 25. Soft ground etching printed in yellow with hand-applied gold leaf border. Image size: 21½ x 23½"; paper size: 22 x 30". Edition 25. Image size: 36 x 44"; paper size: 40 x 49". Edition 6. Published by Crown Point Press and printed by Kathan Brown . Marioni was born in 1937 in Cincinnati, Ohio, attended the Cincinnati Art Academy, and in 1959 moved to San Francisco where he still lives. His first sound work, One Second Sculpture (1969) was celebrated in the 2005 Lyon Biennial as presaging the work of many artists today who use sound and duration as subjects. His first museum show was in 1970 at the Oakland Museum of California. Titled The Act of Drinking Beer with Friends Is the Highest Form of Art, it was an early example of social activity as art. Over the years, Marioni has been invited to repeat the work in various contexts around the world. In 1970 Marioni founded the Museum of Conceptual Art (MOCA), which he described at the time as “a large-scale social work of art.” Until the museum closed in 1984, he organized many groundbreaking shows, including Sound Sculpture As in 1970. MOCA has entered history as the first alternative art space in the United States. Marioni had one-person shows in several significant venues for early conceptual art, among them the Richard Demarco Gallery in Edinburgh in 1972 and the Gallery Foksal in Warsaw in 1975. In 1977 he had a solo show, The Sound of Flight, at the de Young Memorial Museum in San Francisco. He has done installation/performance works at the Whitechapel Gallery in London (1972), the Institute of Contemporary Art in London (1973), the Centre Georges Pompidou in Paris (1980), and the Folkwang Museum in Essen, Germany (1982), among other museums. Marioni was included in important sound art shows: For Eyes and Ears (1980) at the Academy of Fine Arts in Berlin, Live to Air (1982) at the Tate Gallery in London, and From Sound to Image (1985) at the Stuttgart Staatsgalerie in Germany. His work was shown in Out of Actions: Between Performance and the Object in 1998, organized by the Museum of Contemporary Art in Los Angeles. Drawing is central to Marioni’s art, and in 1999 he had a drawing retrospective at the Mills College Art Museum in Oakland. His prints have been published by Crown Point Press since 1974. In 2006 the Contemporary Arts Center in Cincinnati presented a survey exhibition of his work since 1968. Marioni was included in The Art of Participation: 1950 to Now, in 2008 at the San Francisco Museum of Modern Art and The Third Mind: American Artists Contemplate Asia, 1860-1989 in 2009 at the Guggenheim Museum, New York. His work is in the collections of the San Francisco Museum of Modern Art, the Museum of Modern Art in New York, the Stadtische Kunsthalle in Mannheim, Germany, and other museums. He is represented by Anglim Gilbert Gallery in San Francisco and Margarete Roeder Gallery in New York. 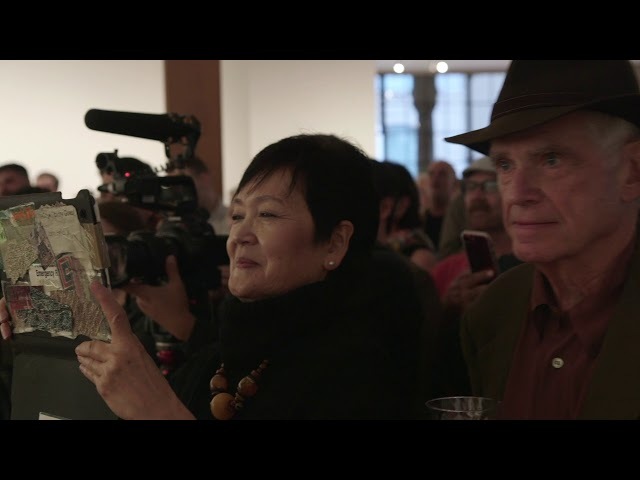 Watch this video documenting our opening reception with Tom Marioni and Wayne Thiebaud that took place on September 13, 2017. Marioni's "Beer Drinking Sonata" (1996) was performed by 13 invited friends. 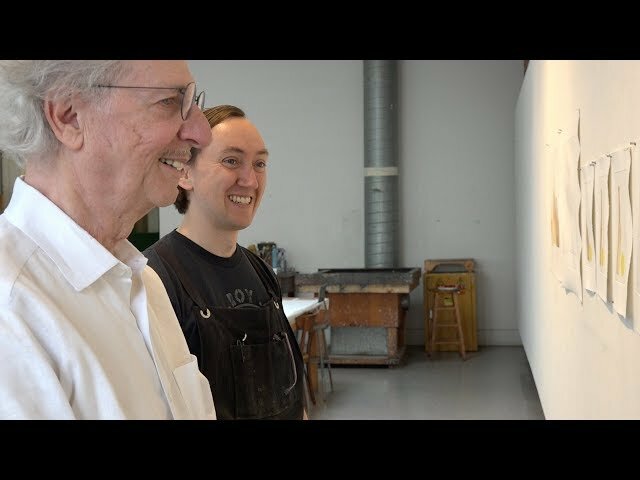 Watch this video of Bay Area Conceptual artist Tom Marioni working on his 2017 series of etchings. 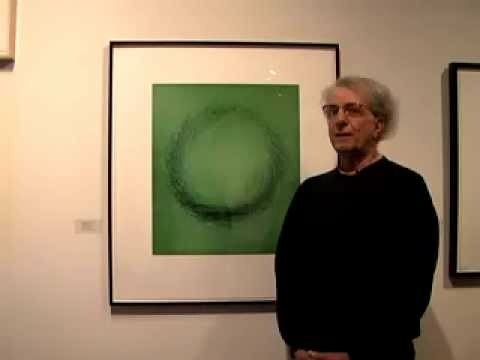 Artist Tom Marioni talks about the works in his exhibition at Crown Point Press in San Francisco. A real-time discussion centering on taste, truth, and fundamental laws as they apply to art and mathematics. Karp is a computer scientist and Turing Award recipient, and Rockmore a writer, mathematician and professor at Dartmouth. 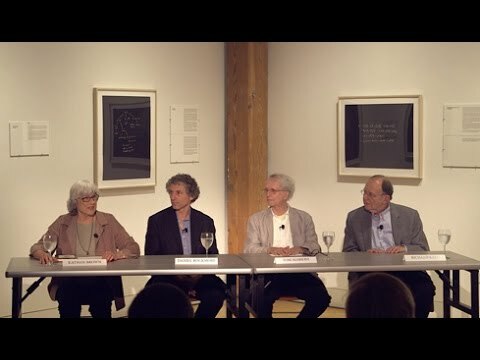 Marioni is a pioneer of conceptual art, and Brown is founding director of the etching workshop Crown Point Press in San Francisco, where the discussion takes place.